PaperCut NG/MF tracks print activity against individual users. In most cases, these users belong to your organization, and user information is synchronized against an external user directory source such as Active Directory, Open Directory, eDirectory or LDAPThe Lightweight Directory Access Protocol (LDAP) is a directory service protocol that runs on a layer above the TCP/IP stack. It provides a mechanism used to connect to, search, and modify Internet directories. The LDAP directory service is based on a client-server model.. If you are able to synchronize your users against an external directory source - this should be your first choice. There are a number of scenarios where it is not practical to synchronize all users from an external directory. They typically involve visitors and guest users printing from BYOD mobile devices who might not even have access to the corporate wired or wireless networks. Requirement: Need a printing solution for visitors and casual guests - often using BYOD devices with no network access. Considerations: Tracking of individual guest users is not important. Requirement: Need a printing solution for visitors and casual guests. Considerations: Tracking of individual guest users is not important, but need controls in place to prevent student use. 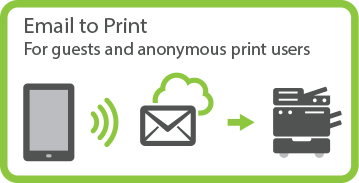 Recommend: Anonymous guest printing with hold/release queue managed by front desk. Requirement: Need a pay-for-print solution for students and guest users. Considerations: Each user has their own account and account balance. Recommend: Internal users (users managed by PaperCut NG/MF) with self-registration. Internal users (users managed by PaperCut NG/MF): Internal users are added directly to PaperCut NG/MF and are not synced with an external user directory. Internal users can be added by a PaperCut NG/MF administrator or self-registered. Shared or generic users: A shared username and password is provided to guests to allow them to log in and print using company equipment. All guest jobs are logged in against this generic user. Anonymous guest printing: Guests not registered in PaperCut NG/MF are permitted to send jobs to a special email address for printing. Jobs are logged against a single internal guest user.